Travelogue films are films made with the intent of observing and documenting different places, countries and cultures from various parts of the world, of appropriating and re-presenting the world through filmic images. Jennifer Lynn Peterson, an early cinema researcher, describes travelogue films as “non-fiction films that take place as their primary subject”. They can be considered as a form of virtual tourism, presented to an audience keen on visiting the places featured in the film, or to an audience interested in being educated about the exotic “other”. Some could be ethnographic in nature, with filmmakers offering a (quasi-scientific) examination of the plural cultures still in existence around the world. The others were merely travel documentaries, episodic and diaristic experiences of singular or group travelers in their journeys around the globe. The more accomplished ones engage on a deeper level with the places the filmmakers visit and freely combine exposition, narrative, comment and even autobiographical elements, often with no lack of well-placed detours and digressions (the late Chris Marker’s travel films are good examples). 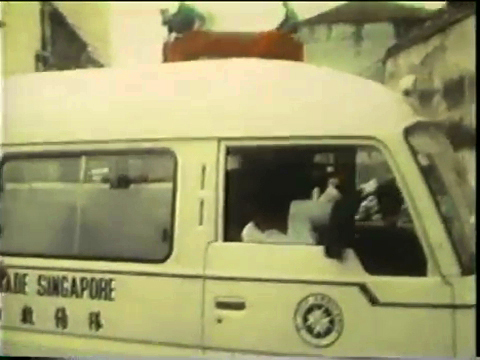 I believe that they are countless travelogue films made of Singapore since the advent of cinema. Singapore was (and still is) at the crossroads of trading and shipping routes, and since the 1960-70s, a key air transport hub in the region. It was therefore a convenient stop in Southeast Asia for travelers and travelogue filmmakers to have encounters with what was considered unusual and alien to them — indigenous cultures (Peranakan), curious religious rites (Hindu firewalking; Thaipusam; Chinese funeral rites), unique architectural styles (colonial architecture; vernacular shophouses; malay houses on stilts), unfamiliar systems of governance (single-party rule; totalitarian; social engineering campaigns). 1. 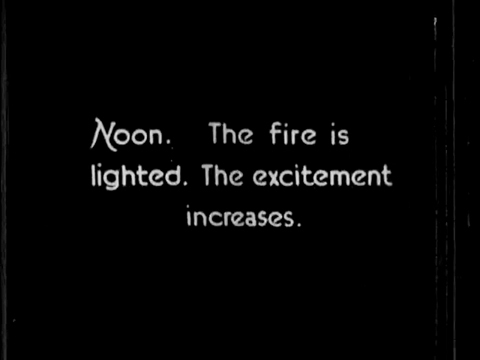 Untitled travelogue film supposedly produced in 1913 (uploaded by Michael Rogge on Youtube). Director unknown. This can be considered as a diaristic/episodic kind of travelogue film, and could have been used during travel lectures which were very popular in early 20th century (eg. Burton Holmes). What is uploaded on Youtube appears to be an excerpt from a longer film. The excerpt centers on the Theemithi ceremony. 2. “Mondo Cane 2” (a.k.a. Mondo Pazzo). Released in 1963. Directed by Gualtiero Jacopetti and Franco Prosperi. This film is the sequel to the infamous “Mondo Cane”(1962) which is a documentary that offer glimpses into unusual cultural practices around the world that are deemed shocking, unsettling and even controversial. The scenes in the film and its various sequels have been known to be staged or creatively manipulated for sensationalistic purposes. Though exploitative, the films were extremely popular and successful in the box office. Many copycats followed and used a similar kind of shock appeal to gain audiences, such that the name “mondo films” came to describe this distinct genre of filmmaking. “Mondo”, by the way, means “the world” in Italian. “Cane” means “dog”. The Theemithi ceremony in the Sri Mariamman Temple in Singapore is one of the unusual and supposedly “mondo”/shocking cultural practices or religious rites from around the world featured in Mondo Cane 2. 3. “Fodor’s Discovering Singapore”. Released in 1989. Directed by David Whitefield Jones. This is a travel documentary of Singapore, originally intended for the tourist market (Fodor is essentially a publisher of travel/tourism information and guidebooks). However, it turns out to be a rather well-researched documentary on Singapore in general (notwithstanding the cliched and irritating use of Chinese ensemble and orchestra music as accompaniment throughout the film). 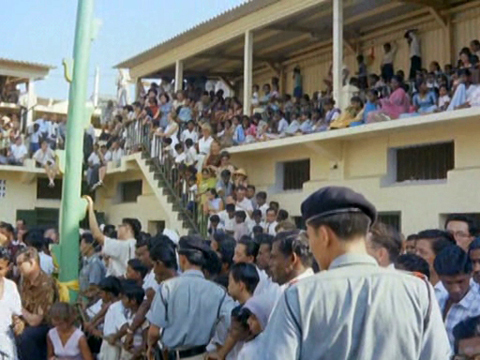 It does not merely introduce the standard places of tourist interest in Singapore, but also attempts to present other facets of Singapore – documentations of the living spaces and social practices of typical Singaporeans, off-the-tourist-path places such as Pulau Sakeng, and interviews with researchers interested in the cultures and history of Singapore. And of course, it didn’t miss out on the well-known religious ceremonies and heritage sites Singapore has on offer, including the yearly firewalking ceremony in Sri Mariamman Temple. Briefly speaking, the Theemith or firewalking ceremony is a purification ritual linked to the Hindu diety Draupadi. Devotees fulfilling a vow or doing an act of penance walk across a three-metre long pit of hot embers and step out of the end of the pit into a pool of milk. It is held in either October or November in the month of Purattasi in the Tamil calendar. Sri Mariamman Temple is the oldest Hindu temple in Singapore. It started out as a wood-and-attap structure built in 1827 by Indian pioneer Naraina Pillay who had arrived in Singapore with Stamford Raffles in 1819. It has since gone through several renovations and additions. A major part of the present building is believed to date from 1862 to 1863, while the current six-tiered elaborately ornamented entrance tower or gopuram was built in 1925. The current gopuram had replaced an earlier one built in 1903. 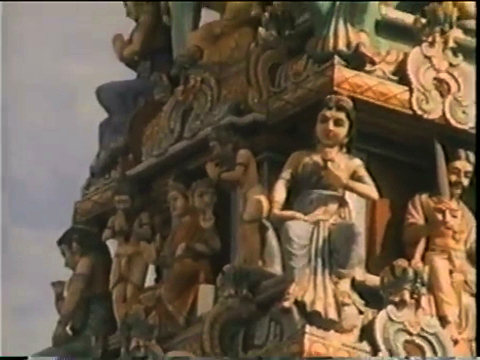 You would be able to see parts of the previous gopuram in one of the film-stills below. “DEVOTEES PREPARE THEIR BODIES FOR TORTURE. The devotees, including quite a number of women, approximated 400. Some were kneeling and touching the earth with their foreheads, while others, more devout, were literally groveling in the dirt. A few were endeavoring to crawl or roll completely around the temple, a task which would have been difficult if the path had been clear and covered with velvety moss instead of being rough, crowded and thick with dust. “Many of those who had made a vow to undergo torture had prepared their bodies the preceding month by some form of penance and had refrained from eating for a day before the event. While these zealots were proceeding with their tasks, a bed of coals was being prepared. Great piles of wood were burned to embers; then the ashes were raked into a neat bed about 24 feet long. It seemed hours to us before it reached this stage, as the atmosphere was rendered almost unbearable by the intense heat. At the end of the mass of live coals was dug a pool, which was filled with milk brought to the spot in earthenware jars. 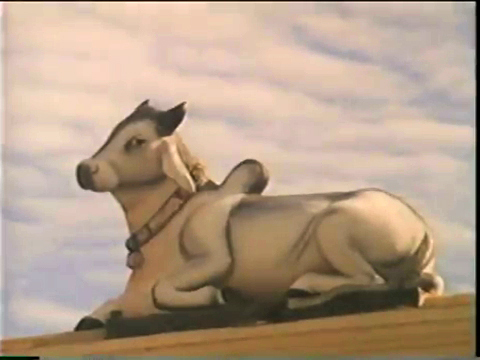 The images of the gods were then brought from the temple and placed near this pool of milk. “SACRIFICE OF A GOAT PRECEDES FIRE CEREMONY. While all seemed in readiness, we heard the sound of drums and a stir of excitement swept over the crowds. This we were told signified the return of devotees from the Serangoon Road Temple, whiter they had gone to complete final preparations. The next instant two men appeared with a goat, one holding the frightened creature’s head and the other a hind leg. Another man raised a scythelike knife and in an instant the head was severed from the body. A fourth participant snatched the quivering bleeding body and ran around the bed of coals, then disappeared in the throng. “Finally, the priests who held back the devotees began to lash them with whips, and one by one they made a dash, barefooted, across the red-hot coals into the pool of milk. Each participant wore a short covering of cheesecloth stained yellow by saffron water, and each carried in his hands, clenched above his head, a twig of green from a tree supposed to possess curative properties. The wrists were tied together with yellow amulets. If the person was pure, the amulet would remain unbroken. I did not see any break. “A legend seems to be at the base of the origin of this ceremony. The Pandus — five brothers who reigned in former Hastinapura, 60 miles from modern Delhi, had one queen, Draupadi, the deity invoked at this festival. These five kings had some cousins who envied their position. Duryodhana, their leader, conceived a plan whereby he could obtain the coveted kingdom. He invited the Pandus to a gambling party at his palace and through trickery won their kingdom. Duryodhana then sent for the queen and endeavored to disrobe her in public. A higher power protected her chastity by making her garments unending. Through sheer exhaustion, Duryodhana finally gave up his attempt to disrobe Draupadi, who then untied his turban and vowed that she would not retwine it until her enemies had been destroyed, and then she would bathe in fire as a proof of her chastity. A war followed and when the Pandus were the victors Draupadi performed her vow. So to-day she is worshipped as one of the seven goddesses of chastity, and even the mention of her name is enough to wipe away all sins. 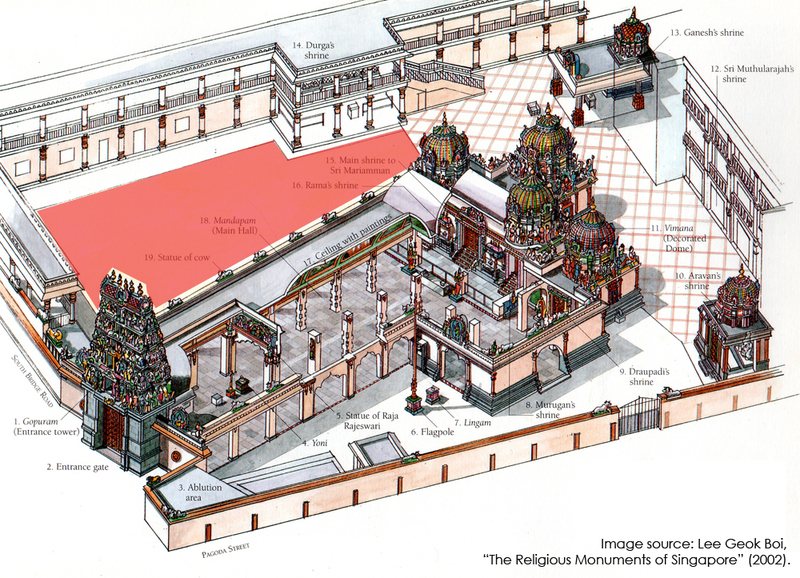 Here is a well-rendered axonometric diagram of the Sri Mariamman Temple. The region shaded in red marks out the location where the yearly firewalking ceremonies were carried out. Besides the Theemithi ceremony at the Sri Mariamman Temple, which other locales in Singapore have the three travelogue films in question for this post introduced? In the excerpt from the 1913 untitled travelogue film, there were quick glimpses of the Chinatown streets and Boat Quay of yore. Exactly 100 years ago. Centennial images. Film-stills from “Mondo Cane 2”. In the vicinity of Dhoby Ghaut, near the junction of Prinsep Street and Bras Basah Road (where School of the Arts is located now), shot from the top of the Cathay Building. Apparently staged, a group of children are seen crowding in the middle of a small park to watch fish-fighting. Film-stills from “Mondo Cane 2”. Probably Chinatown. Chinese spectators, and sparrows fighting to their deaths. In contrast, “Fodor’s Discovering Singapore” covers a larger number of locales in Singapore, among them Chinatown, the Civic District, the old Merlion Park, Little India, Shenton Way, Marina Bay, Orchard Road, numerous places of religious interest, famous eating places, the “heartland” (such as Bukit Gombak New Town), and that which I found most intriguing and of which the film images are most valuable — Pulau Sakeng. Pulau Sakeng (or Pulau Seking) was a small offshore island to the south of Singapore, and was known to be the last stilted Malay Kampung in Singapore before its redevelopment in the 1990s. Pulau Sakeng had about 100 Malay houses on stilts encircling the coast. The founder of the kampung is believed to be a Malay princess named “Kelengking” by which the island got its name. Pulau Sakeng does not exist on the official maps of Singapore today. It has since been merged with Pulau Semakau to form an offshore landfill known as the Semakau Landfill, which is used to contain the incinerated waste from land-scarce Singapore and is expected to last until year 2040. 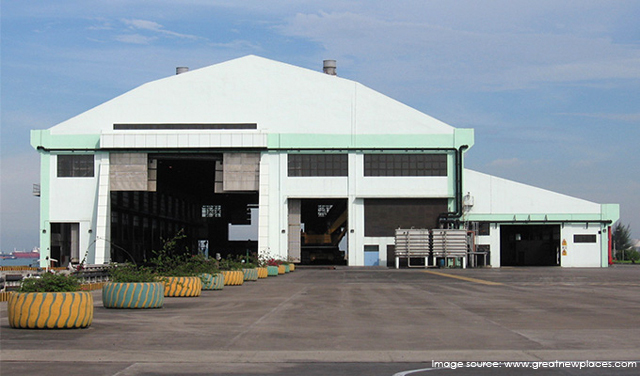 The original site of Pulau Sakeng is now a Marine Transfer Station. 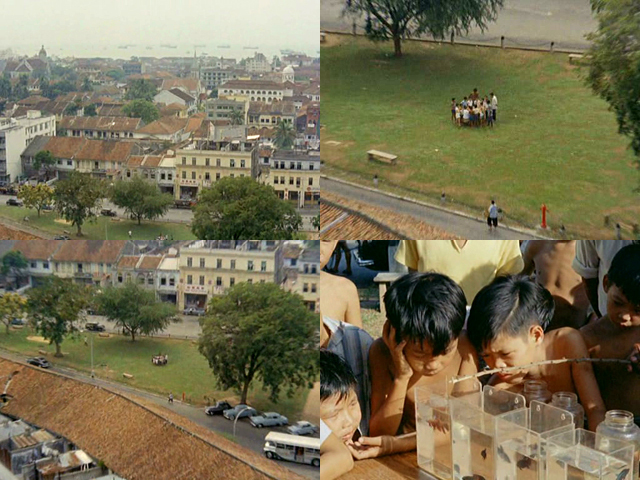 Film-stills from “Fodor’s Discovering Singapore”. Pulau Sakeng in 1989. A Google Earth map of the Semakau Landfill. 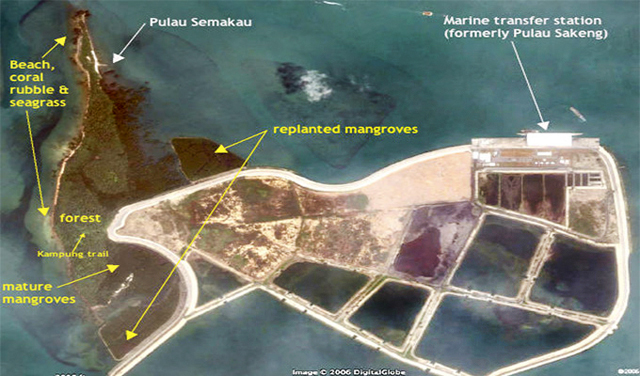 Note where Pulau Sakeng used to be. The Marine Transfer Station on Semakau Landfill, where the incinerated waste and ash from mainland Singapore pass through before being dumped into the landfills. What was once Pulau Sekang and a Malay kampung on stilts. The coverage of Pulau Sakeng is admittedly brief in this blogpost, since I mention this lost island only because it had been featured in one of the travelogue films that this post covers. (As the blogpost title suggests, the main focus of this post is on the Theemithi ceremony in Sri Mariamman.) There are countless excellent reports and articles on the history and the recent redevelopments of Pulau Sakeng, in print and online. I urge you to read them too, here, here and here. The concluding film-still from “Mondo Cane 2”. Blood and Tears. The End.